Minister for Climate Change James Shaw. The government’s decision to create a new panel to advise it on the impending risks associated with climate change hasn’t gone unnoticed by Local Government New Zealand (LGNZ). The Ministry for the Environment announced last week that it has appointed a National Climate Change Risk Assessment panel. 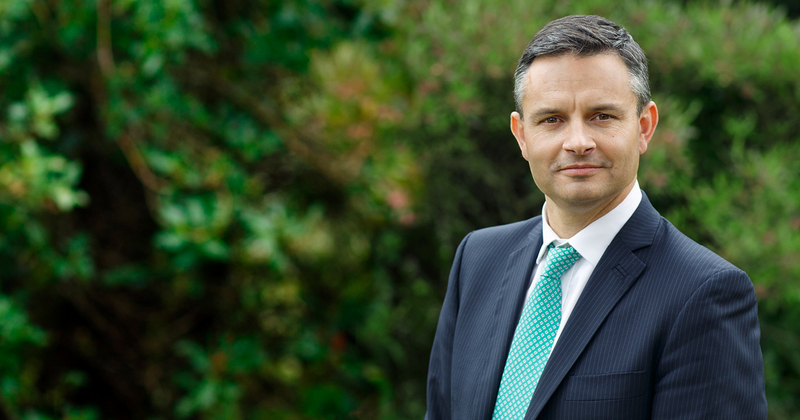 Minister for Climate Change James Shaw says the initial step is to create a risk assessment framework which will enable it to compare the broad range of risks involved. The nine members of the expert panel come from a range of backgrounds, including research, engineering, and the public sector. The new body will be chaired by Anne Bardsley who has come from working in the Office of the Prime Minister’s Chief Science Advisor where she led work on risk and emergencies. The panel will also include Landcare Research’s Shaun Awatere, the Institute of Geological and Nuclear Sciences’ Wendy Saunders, Massey University’s Acushla Dee Sciascia, Tonkin and Taylor’s Bapon Fakhruddin, Rob Bell from National Institute of Water and Atmospheric Research (NIWA) and Roger Fairclough from Neo Leaf Global. It follows criticism from LGNZ over the government’s slow response to a study it released in January. The LGNZ report, Vulnerable: The quantum of local government infrastructure exposed to sea level rise called on central government to urgently develop policies to help minimise the impact of climate change on New Zealand communities. It said up to $14 billion of local government infrastructure was at risk due to rising sea levels and central government had to act. It called for the establishment of a Local Government Risk Agency to help councils understand and factor in the risk of climate change into their planning and decision-making and a National Climate Change Adaptation Fund to deal with the costs of rising sea levels. A spokesperson for LGNZ says the government’s latest announcement is positive news. But there’s still a lot of work that needs to be done. While the lack of local government representation on the panel also needs to be looked at. Last month Local Government New Zealand (LGNZ) released a report by QC Jack Hodder which says the country’s councils will increasingly face legal action due to climate change. Hodder says the planning and statutory roles played by councils means they could be hit hard in the legal action by those affected by climate change, especially if they feel council decision making has played a part in their predicament. He says in the New Zealand legal context it’s up to local authorities to control development and help protect coastal regions. He says currently the litigation risk for council centres around their decision to limit development. But that is changing. The report spells out the legal responsibilities local government has under the Local Government Act and the Resource Management Act which could be used against them in relation to climate change.